Lego finally shows some love for red-blooded American high performance. There’s two kinds of car enthusiasts: those that still enjoy playing with Lego, and liars. Lego’s newest Technic kit is sure to garner interest from both parties. Following a successful run of European performance cars from the likes of Bugatti, Ferrari, and Porsche, Lego is now bringing things stateside with a Chevrolet Corvette ZR-1 kit. While not as large or complex as some of its other car kits, Lego’s Corvette ZR-1 comes in at just $49.99, considerably cheaper than the Porsche 911 GT3 kit ($299.99) and the Bugatti Chiron kit ($349.99). Just like in real life, the Corvette my be simple compared to its peers, but it gives its European counterparts a run for their money. The Lego Corvette ZR-1 still has awesome features that will endear it to enthusiasts, like working steering and a V-8 with pistons that move. 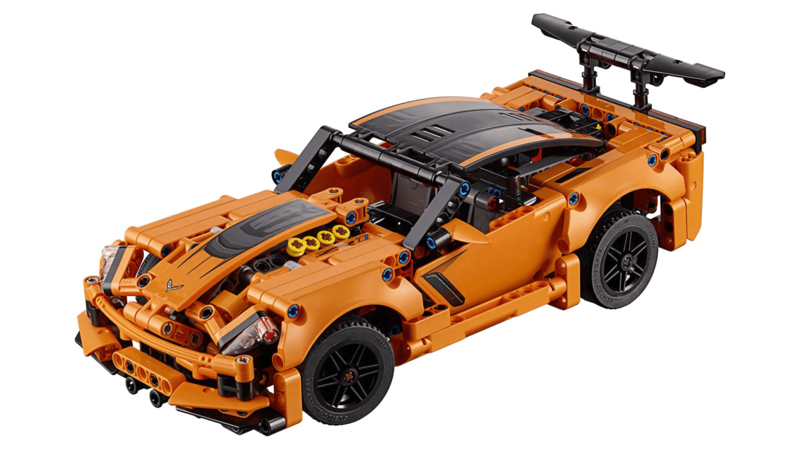 Interestingly enough, the Lego Corvette ZR-1 has a feature not shared with its larger Porsche and Bugatti siblings: an alternate set of instructions. Per a press release, the Corvette ZR-1 kit will include an additional set of instructions to build a classic hot rod. The GM Innovation Group is a 2-year-old R&D unit where the mission is to re-imagine transportation with an eye 10 years down the road but sharply focused on fattening the bottom line. WARREN, MI – Perhaps out of fear of backlash from regulators and consumer groups, automakers generally have trod lightly over the outlandish idea of taking a nap or working on a laptop in an automated vehicle. But in a demonstration of its confidence in autonomous technology and quite likely with the hopes of convincing investors it is remaking its business model for the future, General Motors shows off a few crazy ideas of its own such as playing video games on the commute home from work, sitting campfire-style with friends on the way out for the evening and even reclining in a seat BarcaLounger-style to catch a few winks. Those ideas come from the GM Innovation Group, a 2-year-old unit occupying a tiny corner of the automaker’s sprawling R&D center here, where the mission is to re-imagine transportation with an eye 10 years down the road but also sharply focus on fattening company profitability. “What we do here is very deliberate, very intentional and we can pivot quickly,” says Nate Fitzpatrick, who leads the team. The GM Innovation Group oftentimes works with mature companies similar to GM, such as Exxon and Microsoft, to learn non-automotive approaches to innovation. But the group itself operates with a startup mentality, Fitzpatrick says, and employs a tactical development process. Speed is the word, he adds, and there is no fear of dismantling even the most promising idea if it does not make a business case. Fitzpatrick says the group also is guided by GM’s vision for zero crashes, zero emissions and zero congestion. GM Chairman and CEO Mary Barra outlined the strategy last year, and it is underpinned by the launch of 20 new all-electric vehicles by 2023. GM wants to sell 1 million all-electric vehicles by 2026 and believes someday all its cars and trucks will be electric. The genesis of the EV offensive began at the GM Innovation Group with its engineers and scientists brainstorming how to improve the ownership experience. Their focus is across 10 technical domains ranging from electrification to materials science and infotainment to safety. Other ideas to germinate within the group include a campfire-seating arrangement, where occupants of an AV face each other for conversation rather than sitting in rows. A skeletal buck of the idea shown during a tour of the group’s offices was put together in one of the three wood and metal shops at its disposal. “Be lean, and get to the crux of something quickly,” Fitzpatrick preaches. The GM Innovation Group also brought to life the Chevrolet Colorado ZH2, an extreme off-road-capable fuel-cell electric vehicle based on the popular midsize pickup’s platform and undergoing field testing by the U.S. Army. It went from a sketch to the military in 20 weeks via cross-collaboration with other GM functions such as design and engineering. SURUS, or Silent Utility Rover Universal Superstructure, also came from the GM Innovation Group. Unveiled last year alongside GM’s zero-emissions plan, SURUS is a fuel-cell-powered, four-wheel-steer concept vehicle on a heavy-duty truck frame that’s driven by two electric motors. SURUS has other emissions-free industrial possibilities, too, such as moving intermodal shipping boxes around dockyards or as the basis for an emergency services vehicle. The innovation group also researches alternative materials and manufacturing and is home to a newly announced collaboration between GM and software specialist Autodesk using generative design techniques to lighten future vehicles. A mixed-reality section of the group examines future infotainment, including the possibility of bringing video games to an AV. A demonstration here projects the game onto the windshield of a Cadillac XT5 CUV. Fitzpatrick says GM executed the gaming idea because 59% of Americans play video games and 44% of U.S. homes have at least one dedicated game console. It also is a $36 billion business, according to the Entertainment Software Assn. “Instead of layering entertainment over the car, why not layer the car over infotainment?” Fitzpatrick offers. The final component of GM Innovation Group is Studio Y, an incubator for ideas from across the organization. It is a space where employees can work out their innovations, pitch promising ones to executives and perhaps win seed money to grow their project into a working prototype. Studio Y also is home to iHub, which provides professional guidance and resources to incubating an idea, and gave legs to an annual 3-month, GM-wide innovation challenge called SYNAPSE. A Shark Tank-like challenge, teams of innovators and aspiring entrepreneurs within the company worked together on an idea before pitching it to senior leadership including Barra. Studio Y and SYNAPSE helped put several employee ideas on the road to production. GM plans to reveal the innovations later. “The power of this group is its alignment, from the grass roots all the way up to the CEO,” Fitzpatrick says. GM Director of Additive Manufacturing and Generative Design Kevin Quinn (right) shows Amend 3-D printed, proof-of-concept seat bracket. GM Employee Pricing. Is that a real thing? In short, yes. It is a real thing. In fact, it’s a real good thing for both consumers and dealers. During the GM Employee pricing for everyone sale offered in December 2018, consumers can purchase many new Chevrolet models at or below GM Employee pricing. In the past dealers were not allowed to sell below GM Employee pricing. Those limitations have been lifted for this December’s sale, allowing dealers to sell well below GM Employee price. Many dealers stick to the GM Employee price and won’t dip below, but at Ron Westphal Chevrolet we are going the extra mile and taking additional discounts off the already low GM Employee price. These are definitely the best values of 2018. Feel free to shop online or call our Customer Care Team at 630-898-9630 for details. We are known for our honest, up-front answers and complete transparency. While the dealer may not make as much money per vehicle, the hope is they sell more vehicles than usual. So, in the end the dealership still makes a nice profit. What if I’m a real GM or Dealer Employee? Don’t worry. In addition to receiving the GM Employee price, GM is giving you additional cash back if you are a true GM Employee. Author WestphalChevyPosted on December 20, 2018 Categories NewsTags GM Employee Pricing, ron westphal chevrolet blog, Westphal Chevy BlogLeave a comment on GM Employee Pricing. Is that a real thing? 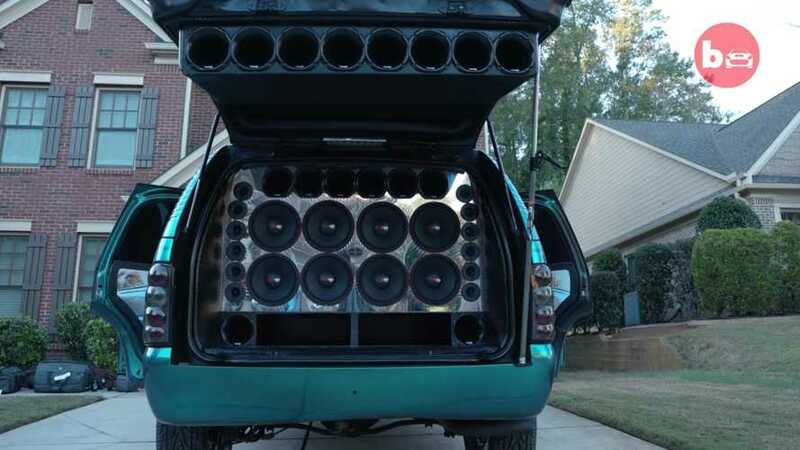 This custom Tahoe has a complete overhaul to carry 62 speakers capable of producing a deafening 160 decibels. Looking for a Tahoe with less than 64 speakers? Check out our inventory. And now through 1.2.19 all 2018 Chevy models are offering Chevy Employee pricing. Joka didn’t just slap the dozens of speakers in basic enclosures and hit the road. The ones in the back and in the door panels feature LED-laden, infinity-effect surrounds that make them appear to go on forever. Flashing lights only add to the mesmerizing effect. Joka just needs to twist the head of a Joker figure to boost the bass. He says the whole sound system can produce upwards of 160 decibels, and the video shows that it’s capable of making a woman’s hair go crazy if she sits inside when things are thumping. For reference, this volume is akin to standing next to a jet at takeoff and can be enough to cause someone’s eardrum to burst. Even without the killer sound system, Joka’s Tahoe would still be a sight to see on the road. It features a ghost-effect image of the Joker on the rear hatch and matching pinstripes adorn the rest of the SUV. The machine rides on a set of 30-inch wheels, and a strip of LEDs around the brake discs adds even more color to the ostentatious rig. Even if such a wild ride is too showy for your personal style, the clip shows that people get a kick out of seeing Joka’s thumping Tahoe at car shows. Chevrolet Employee Pricing for Everyone is a BIG Deal! Super- Big Savings on New 2018 Suburban! Up to $12,500 off MSRP on select models. This Chevy Suburban sale ends January 02, 2019 so don’t delay. Visit Ron Westphal Chevrolet today or call our Customer Care Team at 630-898-9630. Ron Westphal Chevrolet is having special event. Ron Westphal Chevrolet is having a special event. You are cordially invited to our 3-Day Private Sales Event from Monday, December 10th – Wednesday, December 12th. Please bring this invitation voucher to confirm additional savings. 2. Bring this offer to Ron Westphal Chevrolet during event hours. Join us on December 10th – December 12th for a celebration you won’t want to miss! Thank you for your patronage and trust in Ron Westphal Chevrolet. We would like to invite you to an exclusive VIP Event that we are hosting just for our longtime customers. Your vehicle is in high demand, and Ron Westphal Chevrolet would like to present you with the additional VIP trade-in offer of $500. Together with this offer, we are paying top dollar for quality pre-owned vehicles. There are huge year-end factory incentives and massive discounts on every new and used vehicle in stock. You could upgrade to a new vehicle for as little as $0 down and a monthly payment at, near or even below your current one. physical inspection of your vehicle trade-in value. It could be worth even more than you think. NOTICE: This event is NOT being announced to the general public. THIS WILL BE YOUR ONLY NOTICE. This is an email advertisement. You are subscribed to receive emails at . If you prefer not to receive marketing emails regarding Ron Westphal Chevrolet products and services, go here to unsubscribe. © 2018 General Motors. All rights reserved. From muscle car to all-electric car. For those who are concerned, perhaps rightly so, that future all-electric vehicles will not be fun to drive have reason to relax, at least regarding GM’s EVs. According to Car and Driver, Al Oppenheiser, chief engineer of the Chevrolet Camaro program for the past decade, has been reassigned to the automaker’s electric vehicle group. His replacement as Camaro chief engineer will be Mark Dickens, currently executive director of Performance Variants, Parts, Accessories, and Motorsport Engineering. 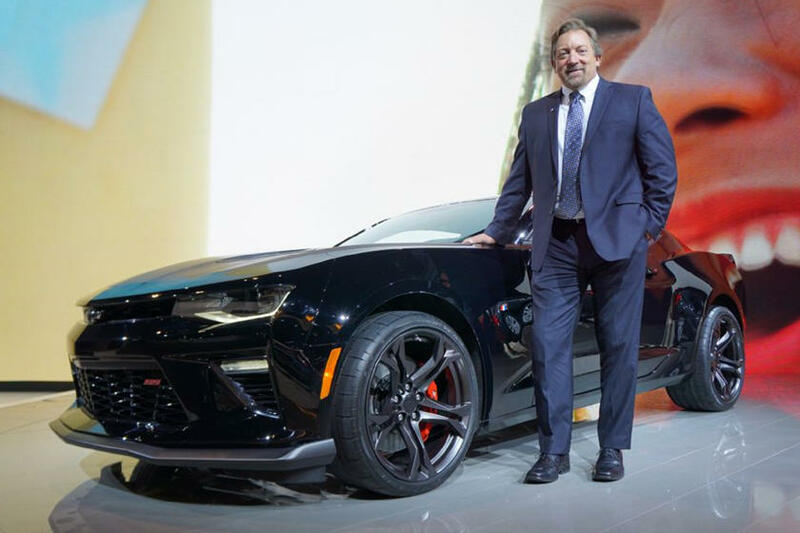 Oppenheiser, the genius behind both the fifth and sixth generation Camaro programs, has rightly earned his place in Camaro history. After all, he was also responsible for the Camaro Z/28 and ZL1. The Camaro community, outside of GM, has enormous respect for him as well. But why is Oppenheiser moving to a new department that, seemingly, is the exact opposite of what’s been doing so well for so long? Because GM wants to get electrification right. It realized it needs to have its very best working on current and future projects. GM spokesman Michael Albano told C/D that Oppenheiser will remain a chief engineer. “We have launched the final variant of this generation of Camaro, so the time is right for him to make a change,” Albano said. But wait a minute? Does Oppenheiser’s new gig mean a Camaro EV is in the works? What about another all-electric sports car? At this stage, GM refuses to go into specifics, though it has not “ruled out in the future that we (could) have performance cars that are electrified.” In fact, Oppenheiser will not work on any specific vehicle but rather a range of EVs with various body styles. Because of Oppenheiser’s well-deserved reputation and status with the Camaro program, GM expects more great things from him in his new gig. “Now he’s moving to an area where we can’t afford not to deliver the right kind of vehicle to customers,” Albano added. Oppenheiser will begin work in his new job early next year. Author WestphalChevyPosted on December 7, 2018 December 6, 2018 Categories NewsTags Corvette snow tires, ron westphal chevrolet blog, Westphal Chevy BlogLeave a comment on Corvette Snow Tires?